Most individuals and businesses carefully spend time to find products and services that are affordable. Equally important is good quality. There are very few businesses that offer a combination of economy, reliability and excellent quality. Cheapest Group is a division of Career Design International, based in Brisbane, Australia. We also have 2 offices in Dhaka, Bangladesh. Our aim is to offer the most economically priced business documents, static websites and designs to clients in Australia, New Zealand, USA, Canada, UK as well as other countries. Our products are world class and we have a proven track record of meeting deadlines. We specialise in writing resumes, editing documents and writing business plans, business profiles, website contents, simple websites, web pages, logos etc. We have provided service to over 2,600 jobseekers, careerists and small businesses in Australia. 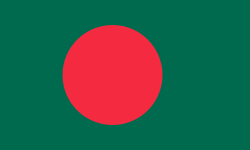 Presently we are developing our business in Bangladesh. This means we have offices in both countries. All prices are in AU$ and we receive payment by PayPal. As a first step, please view our main websites. CHEAPEST GROUP IS A BUSINESS DIVISION OF CAREER DESIGN INTL. DIRECT CREDIT TO OUR ANZ BANK ACCOUNT.